MBA Strategy consultants gave me a very valuable advice on school selection and a great input in my application process. For the whole period of my preparation I was sure to get any kind of support and extremely comprehensive feedback. I think the MBA Strategy team distinguishes its success with high level of enthusiasm, expertise and strong motivation to help its clients reach their most ambitious goals. I wish MBA Strategy keep successfully promoting business education! proficiency. For us, it was really important to target the right school, apply realistic approach and get an expected outcome. I know that MBA Strategy has also approved its services quality by Ernst/Young check. and answer my emails. Very impressive, and I got an offer! The most valuable thing for me was brainstorm sessions with my personal consultant. Professional and very thoughtful approach helped me get a deep insight into my background and my story, and craft very vivid essays. schools’ admissions. «JobsMarket» team shares the same values of top quality and result-orientation and motivates its employees get the best business education. We wish MBA Strategy to never stop and turn unlimited opportunities into realized goals! MBA admissions strategy and helped me successfully apply to a few top business schools. Thank you for your assistance and support. I really liked your mentorship on crafting my essays. It was extremely helpful to get an independent viewpoint and a professional assessment of my writing and putting my ideas. interview preparation. Therefore, I have used a few services. I should stress on a high-quality planning, strategizing, consultants’ availability, empathy and engagement on every step. This resulted in getting offer from one of top business schools. 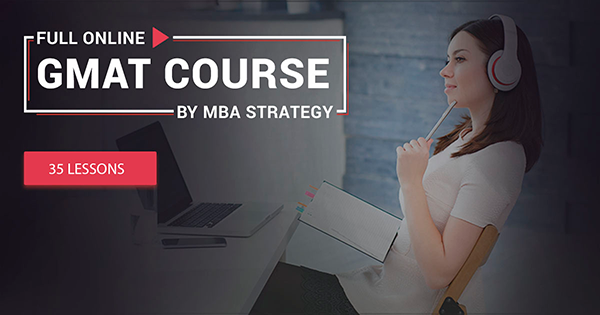 Now I’ll recommend MBA Strategy as a proven way to get into top business school. able to guide and support me in writing process. I checked Russian and American companies websites, met with company representatives and made my choice easily. MBA Strategy has the most individual approach with the best money/quality ratio. He was positive and supportive on the phone and off-line. Besides working system was very flexible and suited me perfectly. After placement of the first order my consultant reached me quite quickly and we started with the brainstorm for essay stories from my life. It was very useful as brought structure and path for future work. Then we communicated mostly on-line depending on speed and quality of my work. The approach was perfect for me - with the consultant guidance and support I wrote brilliant essays and the process wasn't terrible for me. High professionalism and individual approach. I think that by the end the consultant knew more about me than some of my friends. Speaking seriously, work has been done always in time with the best quality and without hurry. Application process is stress itself and you don't want to make it worse. With this company I felt like everything was always under control. I still worked hard but felt that this is someone how carry about my result and would do his best to help. Also the consultant inspired me to believe more in my strengthens. I have applied to two TOP-business schools and was admitted to both of them! It is great feeling and in August 2013 I am starting my new journey. prepare all my documents very quickly and personally. Moreover, I enrolled my dream school! Thank you for your work, and I would gladly recommend your MBA consultants to my friends! Important for Us” is not a sales pitch, but its style of work. I’m writing this testimonial, while already studying in my dream school, and I believe this could happen mainly by the merit of MBA Strategy input! consultant’s full engagement and strong motivation I was able to get in. I am recommending MBA Strategy, if MBA candidates need to get operating assistance and advice on documents’ writing. anyone is going to apply to top business schools with a qualitative package, MBA Strategy is highly recommended as a team of expert advisors. My personal consultant has taken all my background, achievements, wants and needs out of my mind and prepared a candid analysis of what should be used to design a winning strategy and my personal brand. I could not repeat this just by myself! Close collaboration with my consultant was the most effective tool to achieve my goal and become a top business school student.